Oh Friday how wonderful of you to grace us with your presence! It's been a blur of a week and this weekend doesn't look to be any calmer but I'm enjoying it non the less. I have to admit I feel like this year is just zooming by! Which is kind of scary because I still have so much planning to do for the wedding and we're coming up to the six month window. Crazy right?! Enjoy your weekend ladies & gents! Does anyone else have anything fun planned this weekend? Favorite Quote: One day I will stand in front of the Eiffel Tower... One day! 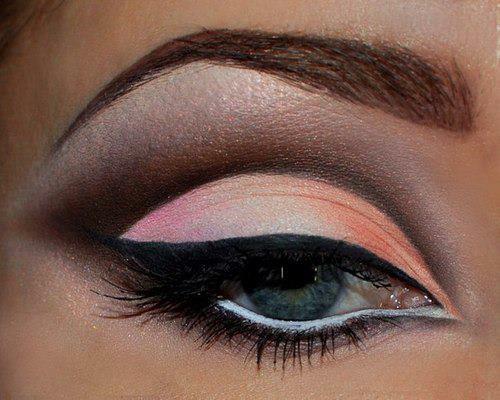 Favorite Indulgence: How gorgeous is this eye look?! Favorite Treat: This looks super yummy... Might have to make this over the weekend? Favorite Shoe: Since Gregory had pointed these shoes out to me in Target last weekend I haven't been able to stop thinking about them. Think I'll have to add them to my shoe collection.